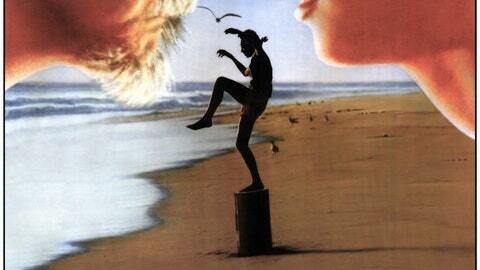 A classic underdog story with one of the most iconic catchphrases in American film history ("Wax on, wax off"), "The Karate Kid" stands up to multiple viewings and is (probably) the best movie with a karate theme. The flick has spawned five other films based on the original 1984 release, most notably a straight-up remake in 2010 starring Jackie Chan and Jaden Smith. Even if you've never seen this movie, chances are good you have mocked its most iconic scene by running dramatically in slow motion. 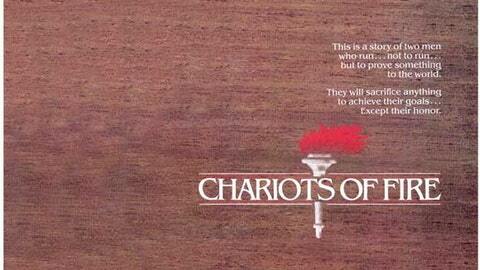 The song, Vangelis’ “Chariots of Fire,” is instantly associated with running along the beach and is maybe the second-best training montage song (behind, of course, Survivor's "Eye of the Tiger" in "Rocky III"). Beyond the beautiful music is a story about two men competing in the 1924 Olympics, one a Christian competing to honor God and another a Jew competing for equality. The film won four Academy Awards. A cult classic about golf that some might argue should be No. 1 on this list. 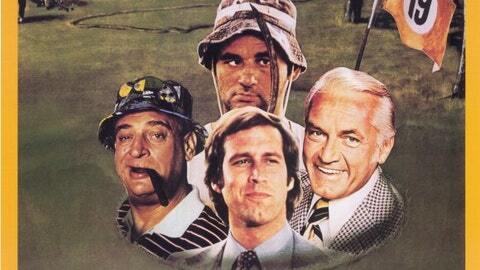 With Chevy Chase, Bill Murray, Ted Knight and Rodney Dangerfield, the flick is a hole-in-one. Think of all the times you heard someone say, "It's in the hole," or blurt out, "Noonan! Noonan!" when someone is lining up a putt, attempting a field goal or standing at the free-throw line. Tiger Woods once said it was his favorite film. 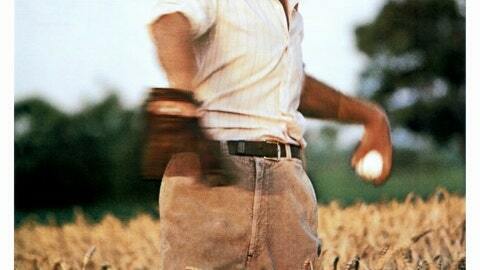 A young baseball prodigy named Roy Hobbs (Robert Redford) gets shot by a female serial killer whose targets are young athletes. The shooting derails his career before it even gets started, but at age 35, Hobbs attempts a comeback. "The Natural" was nominated for four Academy Awards. This is a movie about maybe the single most captivating moment in American sports history, the 1980 US Olympic hockey team’s miraculous victory over the Soviet Union. The trick to making a film about a true-life dramatic event that everybody has already seen is to capture that drama without making the audience roll its eyes. 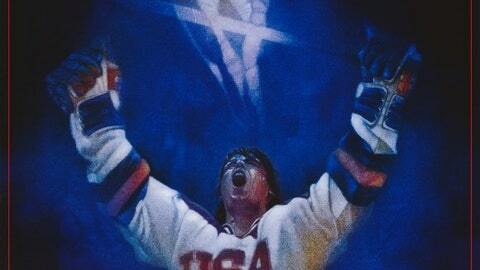 Reviews, especially online, were mostly positive and "Miracle" grossed more than $64 million. A heartbreaking true story about a broken-down boxer named Jim Braddock (Russell Crowe) trying to keep his family warm and fed during the Great Depression. Paul Giamatti was nominated for the best supporting actor Oscar for his portrayal of manager Joe Gould. It was one of the film’s three Oscar nominations. 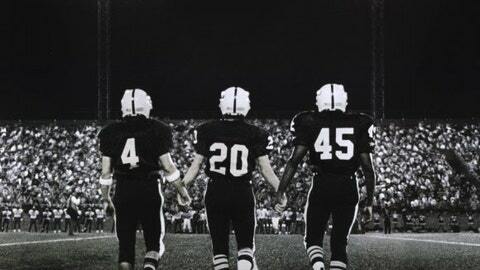 This football flick is a based on the book about a real high school team in Odessa, Texas, in the late 1980s. The movie represented H.G. "Buzz" Bissinger's book with a high level of accuracy, and it established the tone and texture for the critically acclaimed fictional television drama of the same name. It has been established that the narrative we know from the movie is largely a bunch of malarkey, but it is a great narrative about a nobody rising to a big moment, and has brought many a man to tears. 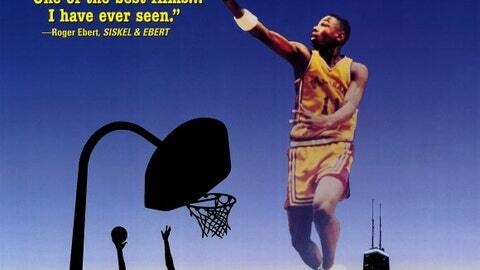 Roger Ebert called it, "a small but powerful illustration of the human spirit." People claim that Oliver Stone's 1987 movie "Wall Street" actually created the "super slick Wall Street guy," and that nobody on Wall Street actually dressed or acted like that until the movie came out. Well that's what Tom Cruise did for sports agents in "Jerry Maguire." Plenty of sports agents were already like Maguire, of course, it’s just that the general public didn't know that until Cruise showed it to them. This film also brought us the catchphrase, "Show me the money!" -- one of the biggest such exclamations of the 1990s. Wesley Snipes! Woody Harrelson! 1992! 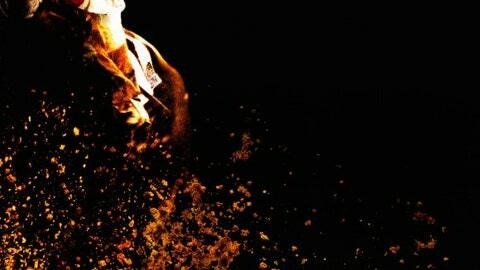 Harrelson plays a trash-talking white hustler who fools African-American streetball players into thinking he can't play because he’s white (though he cannot dunk). Trouble is, he's on the run from the mob because of a gambling debt, and this causes all kinds of problems. Roger Ebert gave it 3.5 stars. Based on a best-selling non-fiction book by Laura Hillenbrand, this is a story about an undersized, underdog racehorse (Seabiscuit) who rose to fame during the Great Depression with a string of inspiring upset victories. The film was nominated for seven Academy Awards, though it didn't win any. An amusing tale about a World War II era women's baseball league in which there is no crying, "A League of their Own" is preserved in the Library of Congress because it is "culturally, historically or aesthetically significant." The film made $142 million on a $40 million budget. 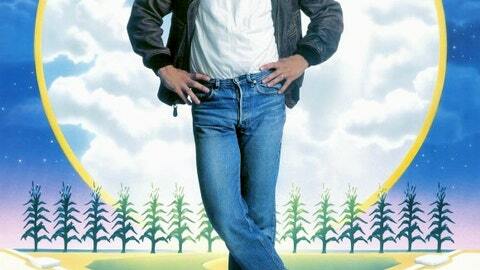 Nominated for three Academy Awards, "Field of Dreams" stars Kevin Costner as a man who hallucinates and hears voices in his head that tell him to build a baseball diamond in the middle of his corn field. Then the ghost of Shoeless Joe Jackson shows up, and he was Ray's father’s hero and … well, you sort of just have to watch it. But it's great. 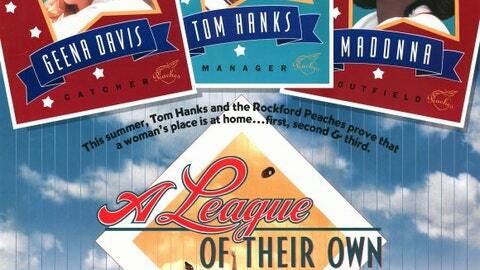 Everybody loves this movie, but women who love baseball REALLY love this movie. There’s a sweetness to this film about a journeyman minor leaguer (Kevin Costner), a baseball groupie (Susan Sarandon) and a young stud pitcher (Tim Robbins) named "Nuke" LaLoosh. There are some great lines in this Ron Shelton flick. 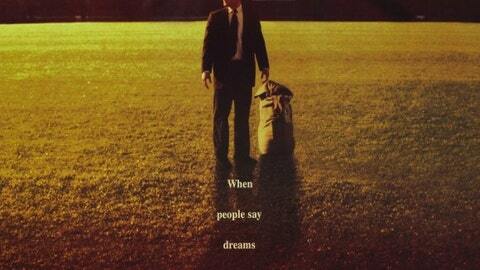 Plus, there's a good love story between Crash Davis (Costner) and Annie Savoy (Sarandon). Or is it two love stories? An annoying sports blabbermouth (first name Skip) once referred to this as "Million Problem Baby," which is a good indicator almost everyone else liked it. This is a Clint Eastwood movie about a female boxer (Hillary Swank) with a terrible family. Swank portrays Maggie Fitzgerald, who gets paralyzed in the ring. The film won Best Picture at the 2004 Academy Awards, and Morgan Freeman earned his first-ever Oscar for his role as Eddie. This should be a must-see for every aspiring high school athlete. It's the documentary of two promising young basketball players (William Gates and Arthur Agee) from the poor parts of Chicago trying to make it out through basketball. 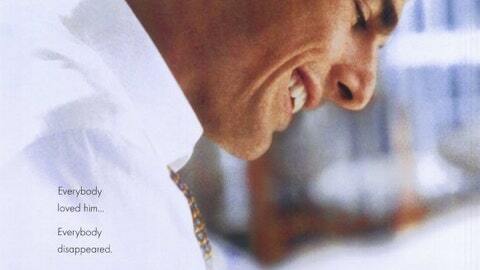 Roger Ebert wrote, “This is one of the best films about American life that I have ever seen." "Hoop Dreams" was largely financed by PBS, and remains one of the best anecdotal arguments in favor of public broadcasting funding. This is an '80s comedy starring Charlie Sheen, and that's a pretty good place to start. This is one of those movies people absolutely love quoting -- you probably have quoted it without even knowing. 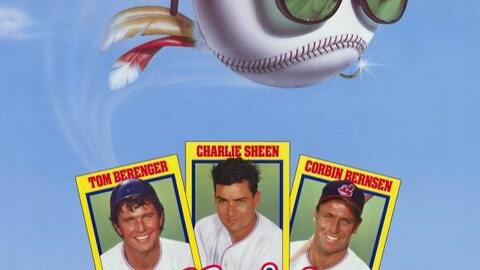 Comedies don't tend to win film awards, but "Major League" has held up well on Internet ratings sites, with more than 80 percent approval on RottenTomatoes.com. 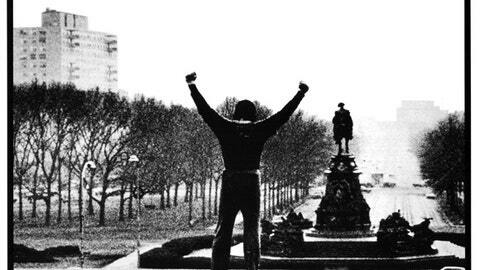 The great thing about "Rocky" was that the "Rocky" franchise didn't make the audience work too hard. Rocky Balboa (Sylvester Stallone) fights Apollo Creed (Carl Weathers) in "Rocky" and "Rocky II." Then there's the "Rocky III" bout with Clubber Lang (Mr. T) -- Balboa also has an exhibition fight with professional entertainment wrestler Thunderlips (Hulk Hogan). In "Rocky IV," it’s the middle of the Cold War, so Balboa fights a robotic, flattopped Russian named Drago (Dolph Lundgren). Obvious stuff. And that's what made the "Rocky" narrative work. It was the simplicity. You could use all your energy for feeling, not thinking. 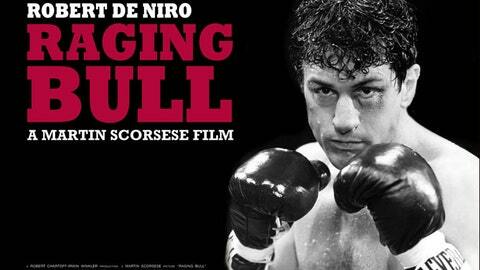 Robert De Niro won the Academy Award for his portrayal of troubled boxer Jake LaMotta in this Martin Scorsese masterpiece, which means maybe the finest actor of his generation gave his best performance in a sports movie. That’s how good "Raging Bull" is. The American Film Institute rated it No. 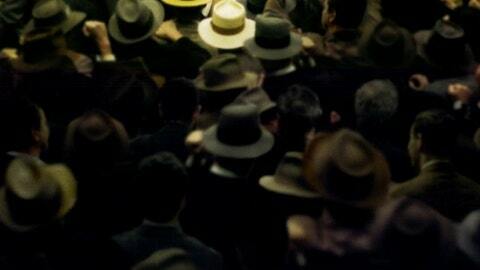 24 on its list of the top 100 films of all time. By the way, Joe Pesci plays Jake's brother, Joey LaMotta. There is no sports story that taps deeper into the American zeitgeist than the story of Hickory High, the school of small-town Indiana farm kids who took down the big-city boys in the state championship. 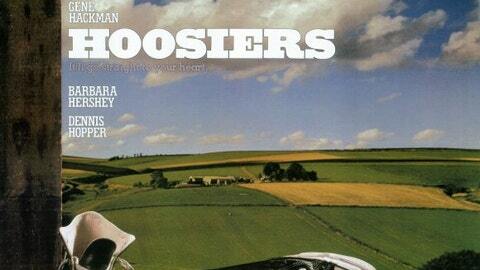 A sometimes dark, sometimes light, sometimes sad, but ultimately uplifting film that gave us Gene Hackman’s great performance as coach Norman Dale, "Hoosiers" is inspired by the true story of the 1954 Milan High School team that won the state championship in the days before Indiana separated its state tournament into classes. Don't get caught watching the paint dry.